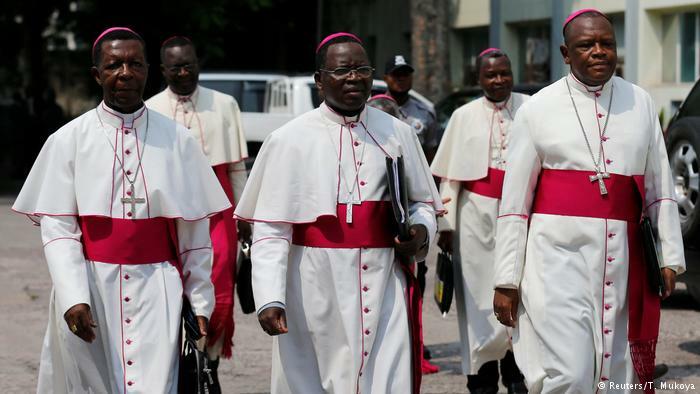 The Roman Catholic Church bishops in the Democratic Republic of Congo, DRC, on Thursday said they already know the winner of the December 30 presidential elections, according to tallies from more than 40,000 observers deployed by the church across the country. According to the National Episcopal Conference of Congo (CENCO) bishops, it was clear which candidate won the country’s presidential election. The group thus tasked the elections body, CENI, to reveal the winner in keeping with truth and justice. The Roman Catholic Church is one of Congo’s most trusted institutions, representing about 40 percent of its 80 million population. The electoral commission had been scheduled to publish provisional results on Sunday, but it said on Thursday that could be delayed because counting centres are still waiting for 80 percent of local vote tallies. The United States Department of State on Thursday hailed the Congolese people who braved all odds to kick start a process of actualising the first peaceful transfer of political power in DRC. Washington also expressed misgivings about the National Independent Electoral Commission’s actions in the lead up to, during and in the aftermath of the vote. CENCO has yet to mention who “their winner” is or to publish a breakdown of how they arrived at the conclusion. Posted by Geraldine Boechat on January 4, 2019. Filed under Zoom. You can follow any responses to this entry through the RSS 2.0. Both comments and pings are currently closed.